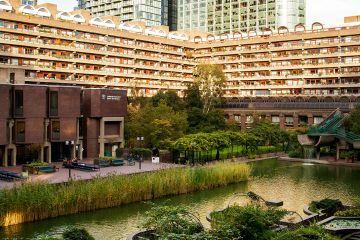 Our original plan was to see Benedict Cumberbatch as Hamlet at the Barbican Centre, but once we realised the theatre’s magnificent surroundings, we decided to go for a little urban adventure. 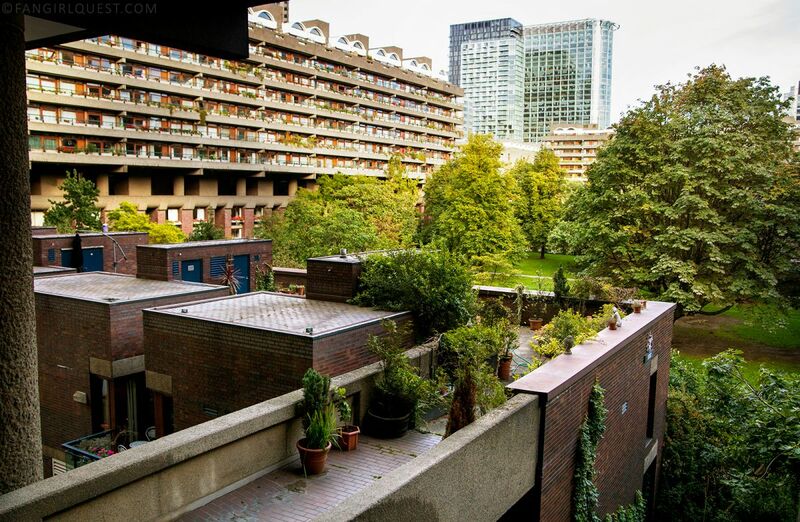 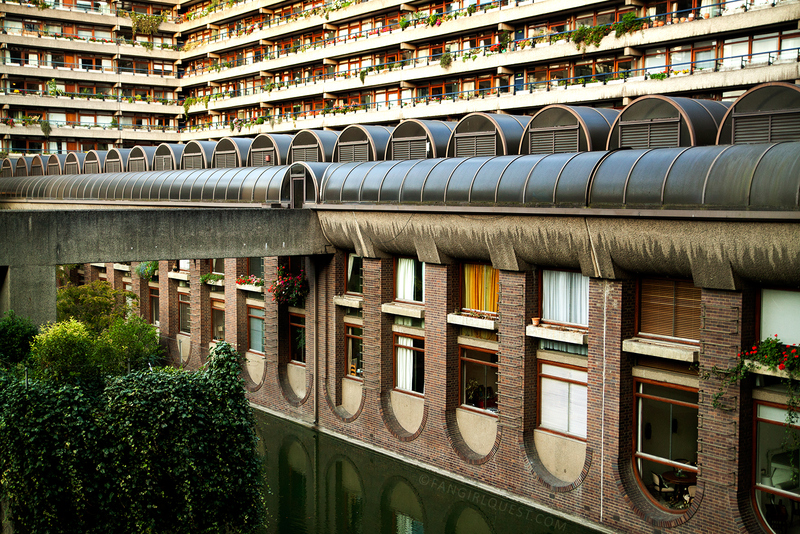 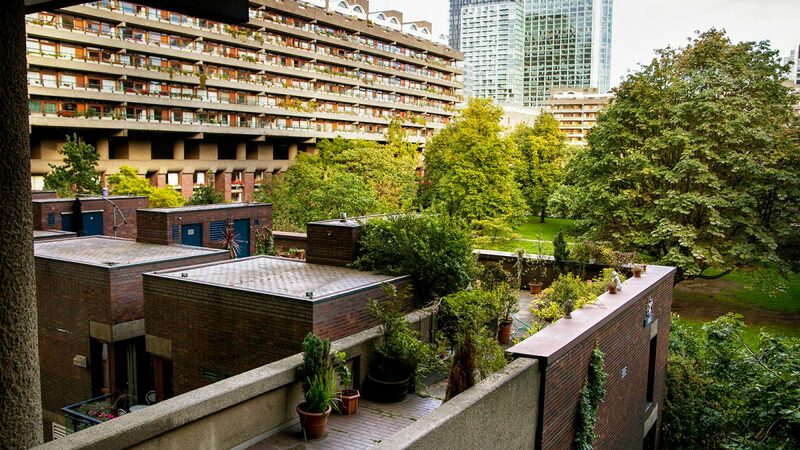 The Barbican Estate is a residential estate built during the 1960s and the 1970s in London, in an area once devastated by World War II bombings. 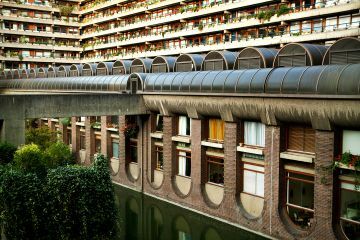 To an outsider and a first time visitor, it’s quite a mind-blowing experience. Barbican’s brutalist architecture with its tower blocks, water areas and peculiar structures, gardens and labyrinth-like pedestrian routes reminded us of a futuristic settlement on another planet. 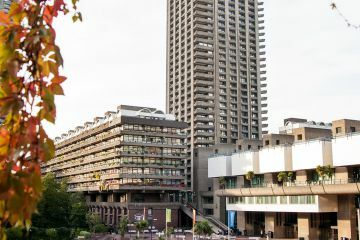 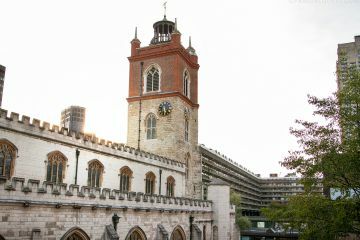 Yet, it’s all right in the middle of the bustling London city centre, not far from the most famous tourist attractions. 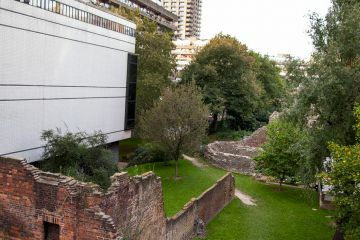 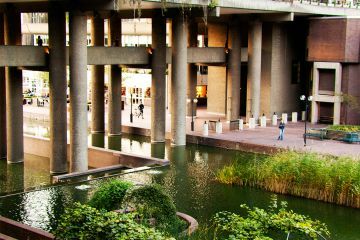 Hidden inside or adjacent to the complex are the Barbican Arts Centre, a library, a cinema, a school, restaurants and in the south-west corner, Museum of London. 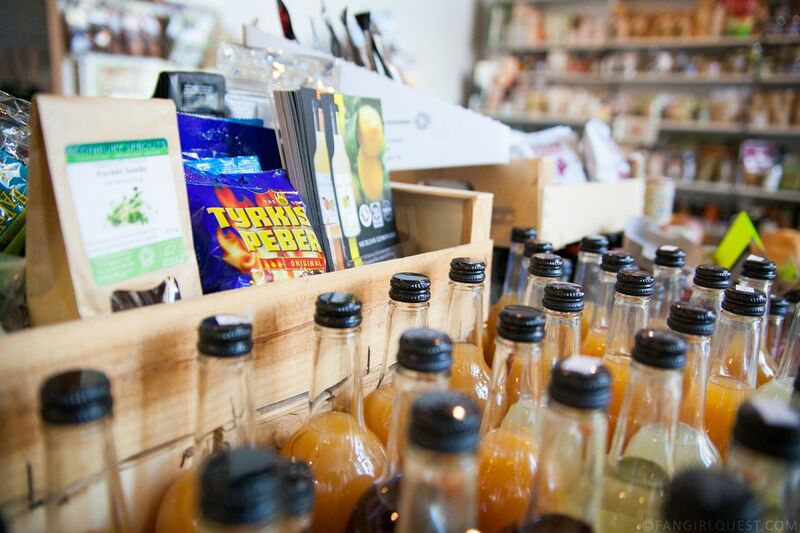 We even discovered a little shop called Geranium, full of organic foods, local products and peculiar treats from the Nordic countries. 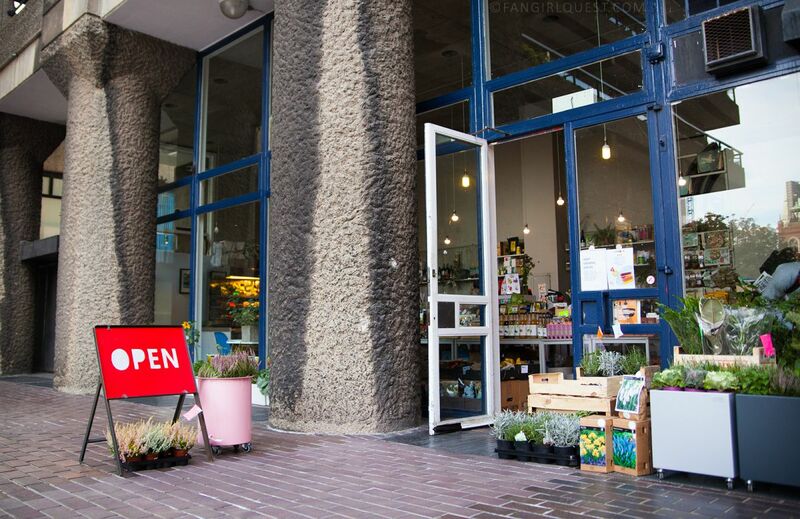 We were amazed by their selection of Swedish candy, salty liquorice, the rye crispbread and the odd jars of herring, and were told that the Danish owner likes to bring in some Nordic specialities every now and then. 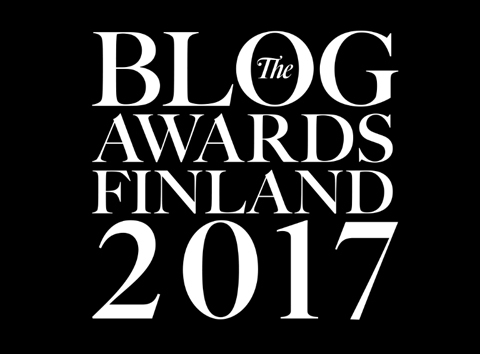 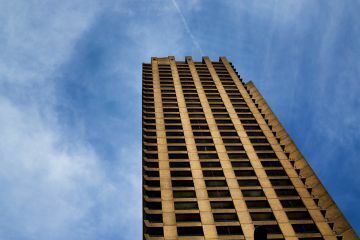 Apparently, the shop doesn’t have a website or social media profiles, but there’s a lovely article on Barbicanlifeonline.com about it. 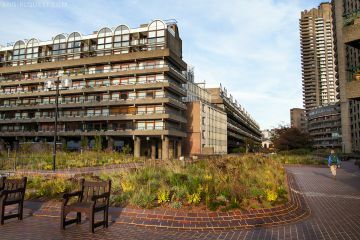 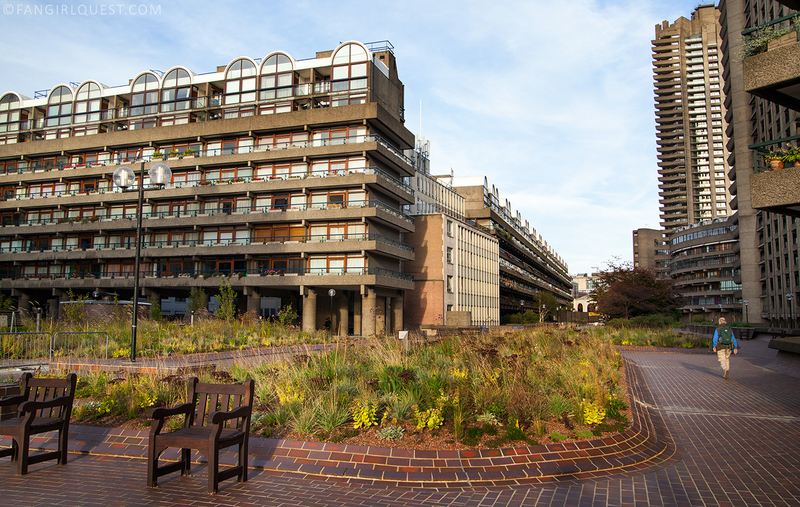 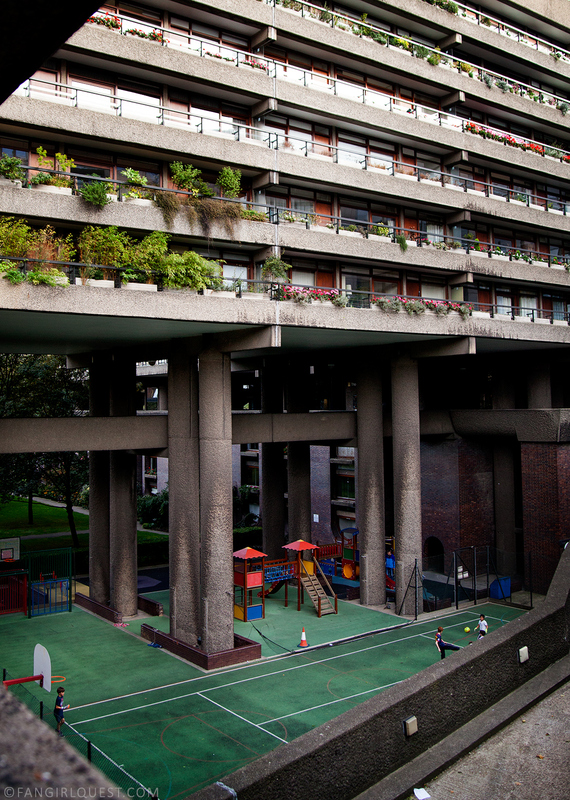 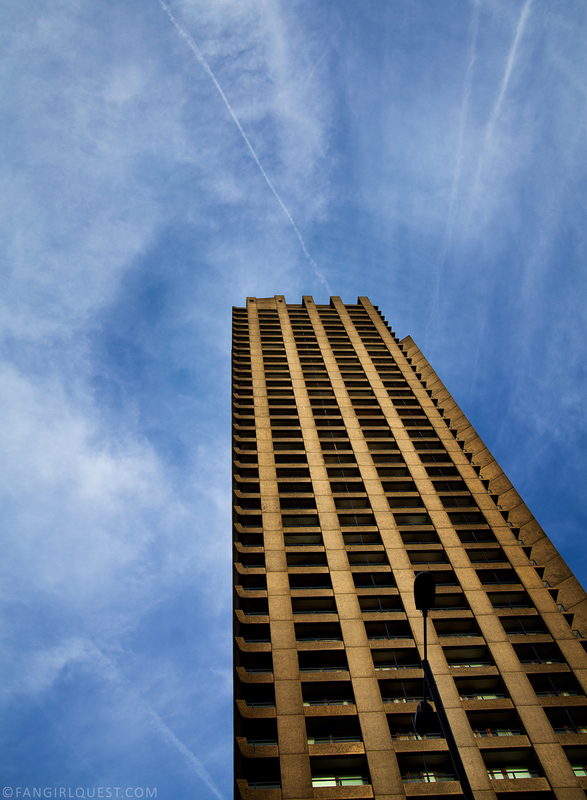 We also had a lovely chat about the Barbican with the friendly saleswoman. 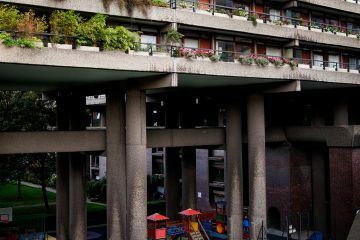 She said the apartments are very lovely, but (understandably) very expensive. 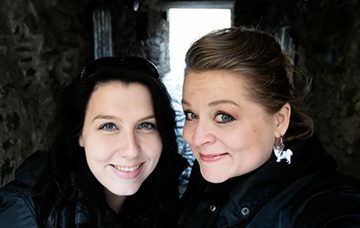 She gave us a few walking tour tips, and since they had some amazing Finnish salmiakki candy in their selection, we shared the super secret recipe of Tyrkish Peber vodka schnapps with her in exchange. 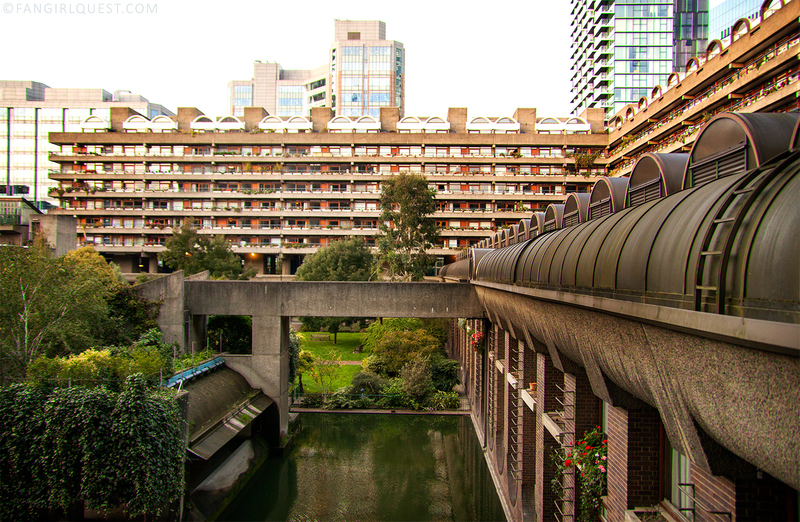 We continued our Barbican adventure by taking random turns at the various corners, walked through tunnels, climbed some stairs, strolled along peculiar corridors, snapped a million photos and respected the “For residents only” signs. 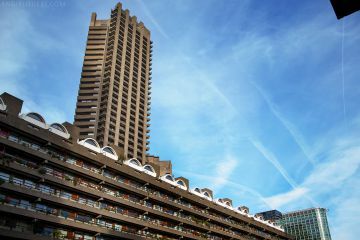 This photo is for all the Benedict Cumberbatch and especially you Sherlock fans out there. 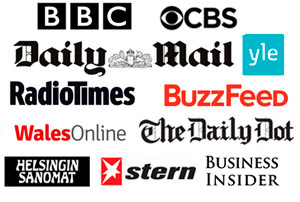 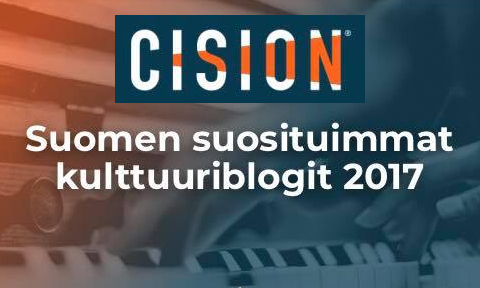 Can you spot the connection? 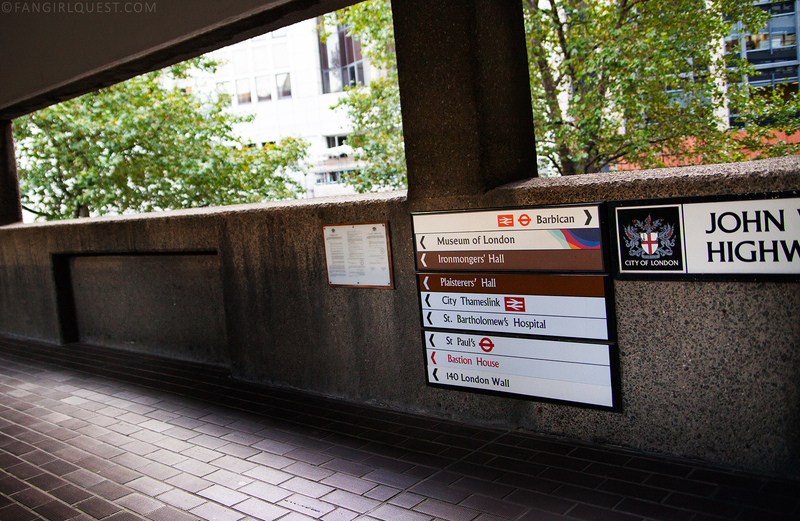 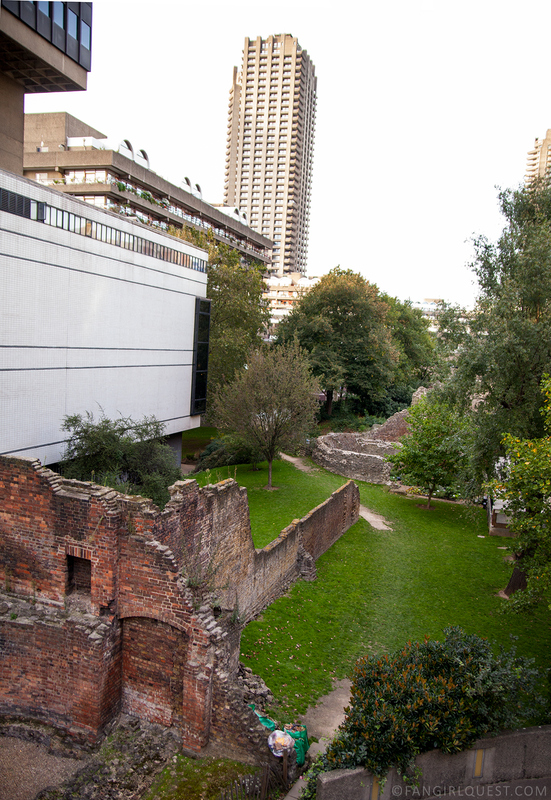 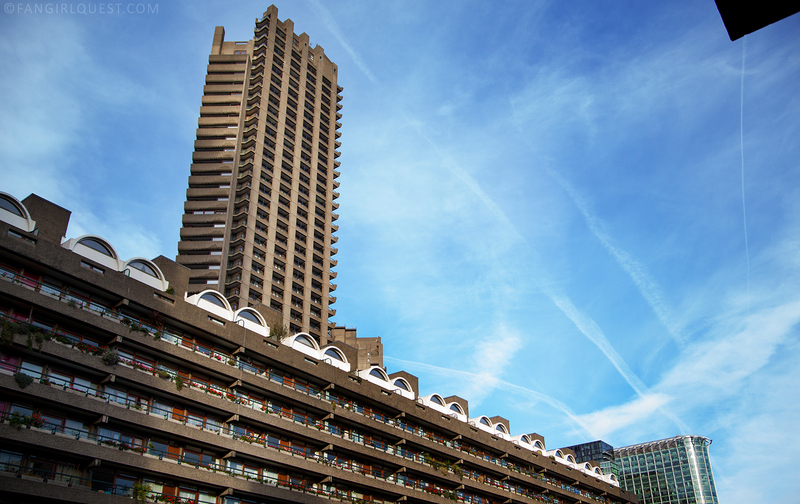 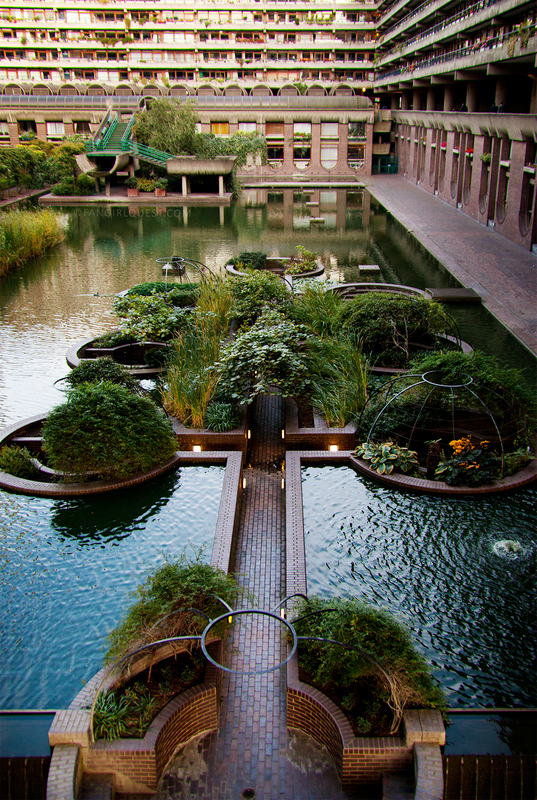 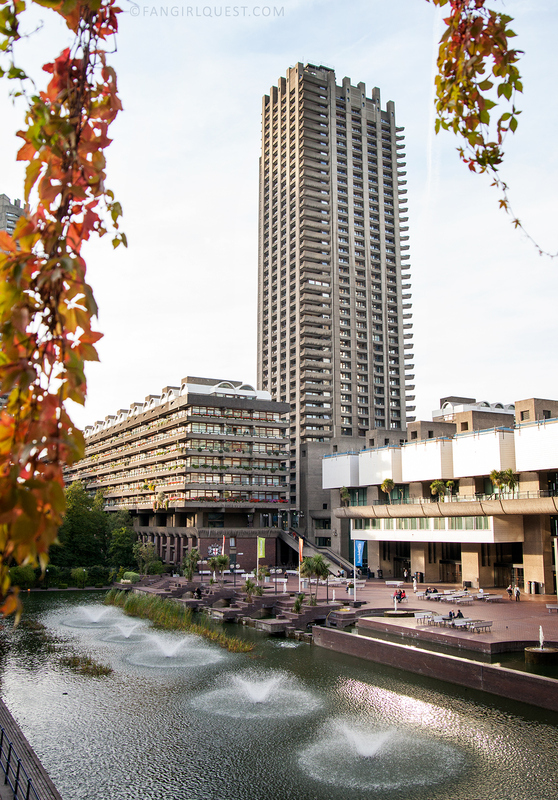 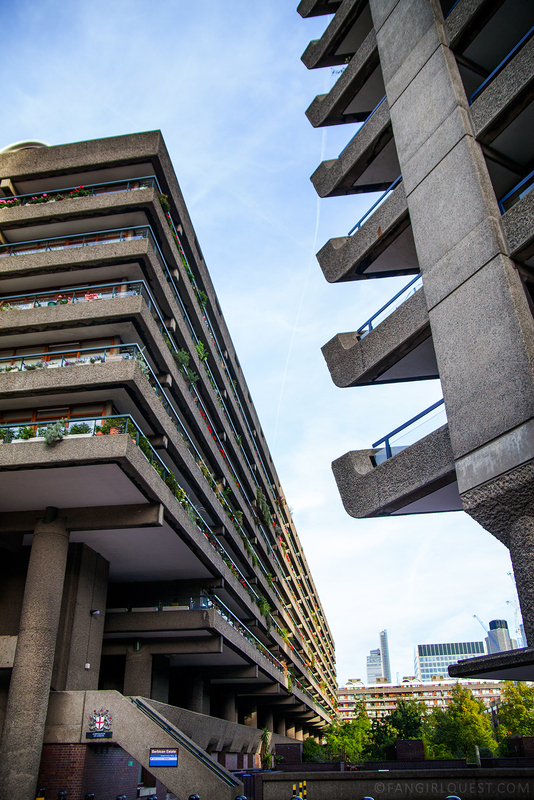 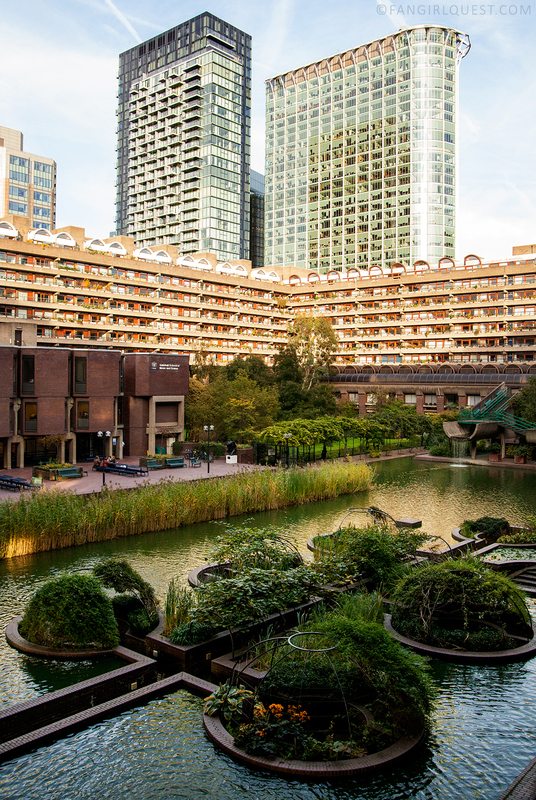 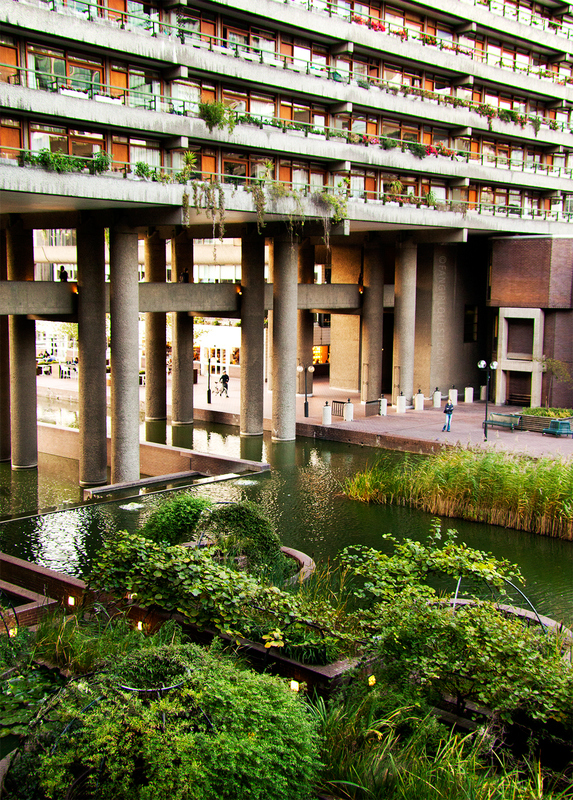 Because the Barbican is first and foremost a home to about 4,000 londoners, we can’t really call it a tourist attraction and urge you all to go and have a fun, eventful day out. 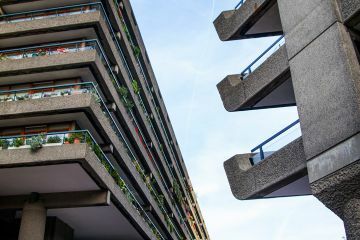 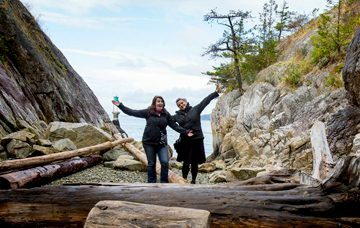 Instead, we’d recommend going quietly and respecting the privacy of the residents, while enjoying everything the area has to offer for a visitor. 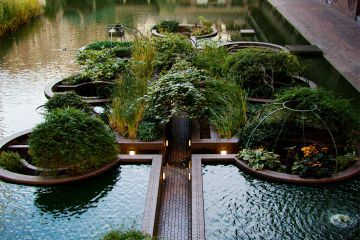 If you’re really curious about the place, we recommend this super interesting article by Norwegian’s inflight magazine. 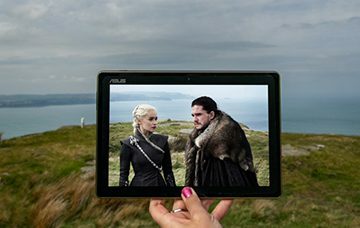 It’s what originally inspired our visit.